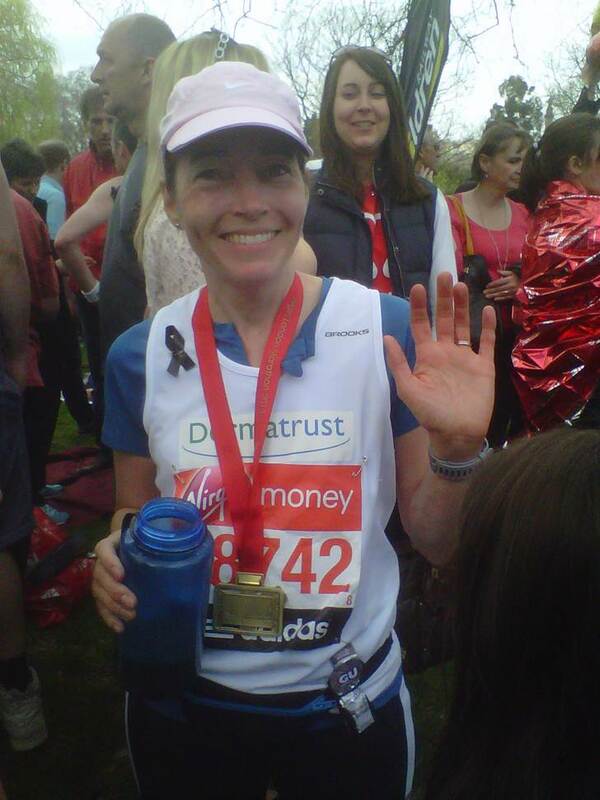 We would like to say a BIG WELL DONE and THANK YOU to the following runners who all took part in the Virgin London Marathon 2013 on 21st April on behalf of Dermatrust. Our runners have so far raised just over £13,400 and still counting. But it is not too late to show your support and appreciation for their efforts. We are still accepting donations – please donate! Noah has raised £1,732 so far as at 16th May 2013. I am currently a 21-year old postgraduate student at Oxford. I have a number of family members who have run the London Marathon, and fancied the challenge. I have never run one before but ran my first half-marathon in training. I have been really impressed with what I have found out so far about Dematrust, which I was introduced to by an old friend. Kathy has raised £3,449 so far as at 16th May 2013. Kathy’s post race update: The Marathon was a great experience–a bit warmer than I would have liked but fun nonetheless. The crowds were so supportive and encouraging. After the horrors of the bombings in Boston, this marathon had a special meaning for all of us participating and I felt humbled that I could honor the victims in this small way. I moved to London from California over 15 years ago with my husband and two children [both of whom are now at university!] and started running regularly several years ago with a group of friends. In 2011, I ran an ultra-marathon [60 miles over two days in the New Forest] and last year I completed the Edinburgh Marathon. I am particularly drawn to supporting the work of Dermatrust because my immediate and extended family has, unfortunately, experienced a gamut of skin diseases, from serious eczema to melanoma. 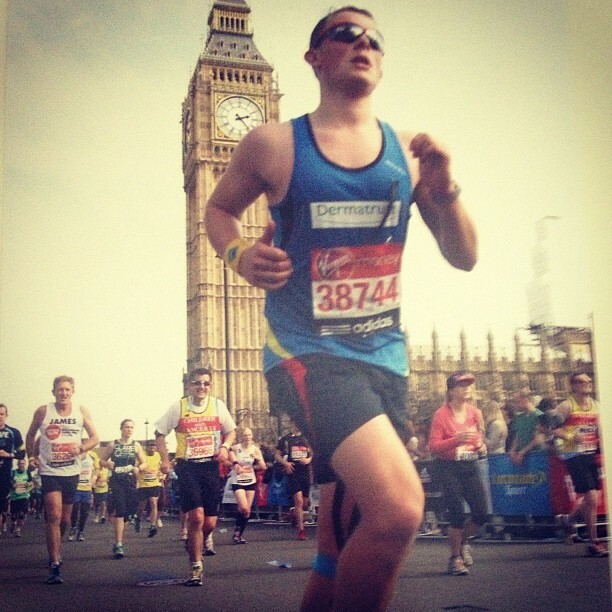 I am excited to be running this year’s London Marathon on behalf of Dermatrust! 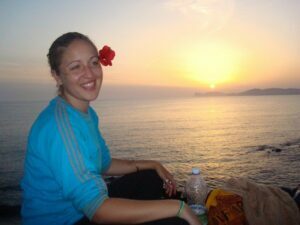 Rhia has raised £1,835 so far as at 16th May 2013. I am a campaigner at CTC, the national cycling charity, but running is my sport of choice. I have run two half-marathons and one marathon and a bunch of other shorter runs in between. I was hoping to run the London Marathon 2013 in 4 hours but I got injured about 6 weeks ago and am still feeling repercussions, so training is going slowly. Now I just aim to finish it! I walked the Edinburgh Moonwalk for Breast Cancer last year and completed it in 6 and a half hours, so as long as I’m under that, I’ll be happy! I’m raising money for Dermatrust because I want to support research into skin cancer. Erin has raised £2,835 so far as at 16th May 2013. Erin ran the marathon in 4 hours 25 mins. Erin’s post race update: It was a gorgeous, sunny day – almost unbelievable weather for London. Before the start, a whistle blew for 30 seconds of silence in memory of the events in Boston a week ago. You could have heard a pin drop. It was very moving. Most wore black ribbons supplied by the organizers, and many of us held our hands over our hearts as we crossed the finish line. For me, finding family and friends in the crowds was the best boost to keep me going strong. All of the cheering by spectators along the way was fantastic. I also loved seeing the varied cityscape that is London. I was hoping to finish under 4:30, and I managed to complete in 4:25:01. And believe me, thinking of you all kept me going. Thank you again for supporting me and helping to fund Dermatrust in its fight against skin disease (and yes, I wore sunscreen). I’m a mother of three — two boys and one girl — and married to Alex. We moved to London from the US fourteen years ago and have raised our family here. This is my first marathon! I know I wouldn’t be running a marathon at all without the unwavering encouragement of my husband and kids and the amazing support of the running group I joined in September. 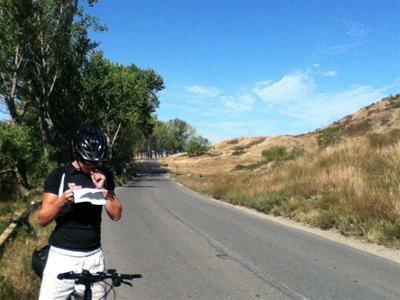 Before joining the running group, I jogged three miles every once in while; a marathon was the last thing on my mind. But I have stood on the sidelines cheering for Alex when he has run in marathons, and for my mom, dad, and other members of my family and friends, so I figured why not give it a try! 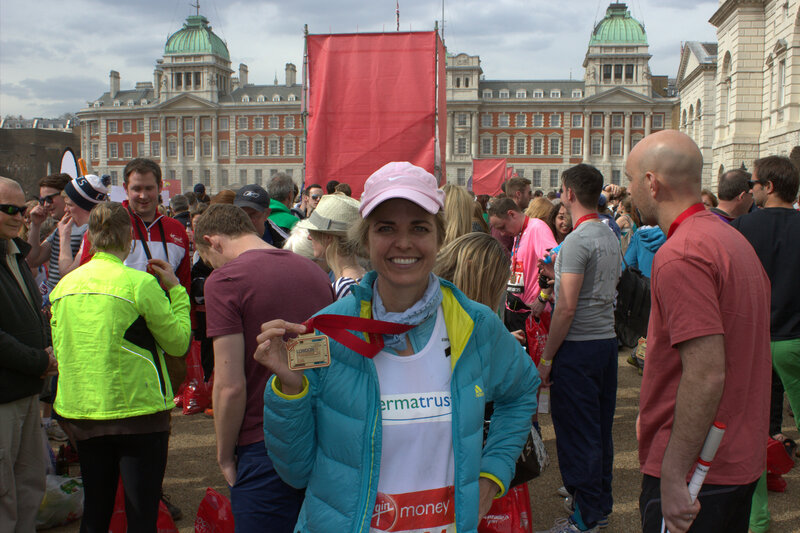 I am thrilled that the training is going well and I am looking forward to the challenge and excitement of the London Marathon, and to raising funds for Dermatrust! Kelly has raised £2,137 so far as at 16th May 2013. Inspired by my mother (Avrel Bateman, who has run over 50 Marathons). I thought I would give it a go as they say its always good to challenge yourself or to take up a challenge. 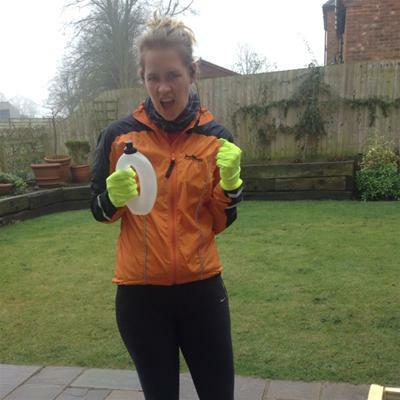 So I pledge you to sponsor me for this “mad challenge that I’ve set myself”. It’s going to be physically and mentally demanding, but in the end a great achievement. Jozef has raised £1,885 so far as at 16th May 2013. My name is Jozef Oprachal, and I live in Slovakia. My cousin, Zuzana lives in the UK, and through her chance connection with the Fundraiser for Dermatrust, she learnt that there were a couple of places left to run for that charity in this year’s London Marathon. She was very excited about this, as she knows it has been a lifelong ambition of mine to run the most famous Marathon of them all! 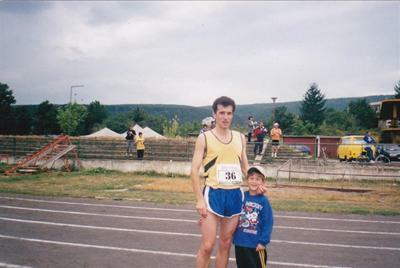 I have been a runner since I was 16 years old, and have completed 35 marathons. One of them in particular was very special to me as I dedicated it to my son, who was at that time a little boy. He developed health problems after he was born and had to undergo surgery 4 times, the last operation being when he was only three years old, and he had to stay in the hospital for two weeks, alone. I promised him at the time that I too would undertake a major challenge, and I promised to run my first marathon for him. I am delighted to be raising funds this time for Dermatrust. I have started my training and believe that with God’s help, even if I can help just one person suffering from a debilitating skin disease, it will be worth it. Dan has raised £678 so far as at 16th May 2013. I am running for Dermatrust; a charity helping improve the treatment and care of skin diseases by supporting research and treatment. Although suffering from only mild acne I have found it a difficult condition to live with and overcome; I can only imagine the struggle that comes with far more serious skin conditions. Though I have never been much of a runner, if memory serves correctly I finished my school’s cross country race in second last place, but then again I was never much of a cyclist either. Everyone can help provide more research and better treatment and as one in four of us in the UK has a skin problem requiring medical care, Dermatrust is a charity that will in all likelihood help someone you know, or perhaps you yourself. Please give a gift today. Whatever you can afford will make a real difference to our work.